I want to wear jeggings every day. I’m trying to repress the urge to buy a pair for each day of the week and throw out all my other pants. 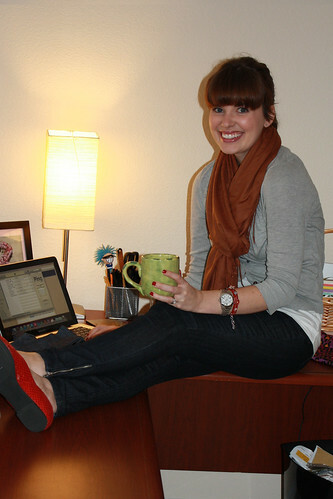 Jeggings + tee + cardi + scarf = my new fall uniform. Speaking of fall, I can’t believe it’s November! I’m going to be 26 in a little over two weeks, and I’m still trying to figure out where 25 went… Now begins the time warp of the holiday season, when we go to sleep on 11/1 and wake up on 1/1 and everything in between is a blur. I’m off to package up some items to ship from my closet and whip up some dinner. See you guys around here tomorrow! >Momma said there’d be days like this. >Those pants look amazing on you! 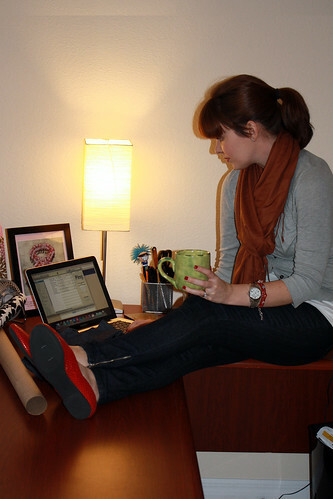 I desperately want to try jeggings (even my mother-in-law has a pair! ), but I'm trying to make myself start saving & planning for Christmas shopping, mostly because I absolutely love it & look forward to it every year. One problem I'm having is finding jeggings that are short enough for me (I'm only 5'2"). What brands have worked for you, my fellow petite lady? >How adorable are you?!? Very. I can't believe you are such a young'un! 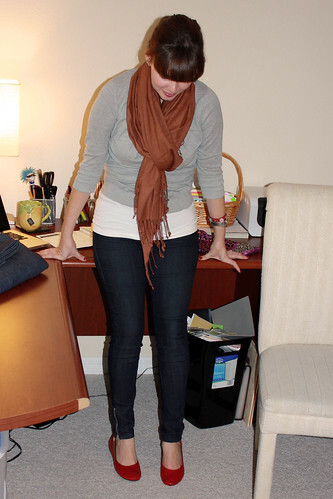 I haven't tried the jeggings thing yet, but I'm usually about a year behind on trends, so maybe next fall! >I've wanted to try jeggings for the longest time! They look so comfortable.